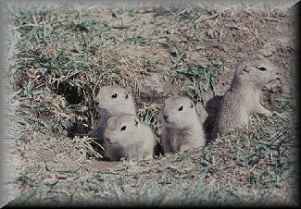 These gophers, aka Richardson Ground Squirrels, aka Spermophilus richardsonii is about as close as we prairie folk can come to a groundhog. I can't imagine any of them will be coming out to look for a shadow today. For an interesting winter read, study up on the physiology and habits of these critters here.